Located in Birmingham, Evac+Chair is a manufacturer of life safety products, principal among which is their flagship product, the eponymous Evac+Chair itself: a universal evacuation solution for smooth stairway descent during an emergency situation without the need of great physical strength or lifting. Since the company’s inception in 1987, the chair has been helping save the lives of the most vulnerable; indeed, the chairs played a role in saving the lives of occupants of the World Trade Centre on 9/11 (one of which features in the memorial museum at Ground Zero). Behind this company is managing director, Gerard Wallace – himself a passionate advocate for improved fire safety, often engaging in talks to this effect with governmental and academic institutions. Featuring below is his Review article. Evac+Chair was created as a solution for the obvious necessity of helping the mobility impaired escape from fires. One would think that marketing such a vital product would be easy enough. However, this is not always the case. Across the board, there is a general neglect of what to do during fire alarms – evidenced not least by the tragic Grenfell fire. Too much focus, at present, is on preventing and detecting fires, which of course is important; but this comes at the expense of working out what to do once the fire alarm is activated. Vague instructions exist, but they are either inadequate or are poorly adhered to – sometimes a mix of the two. Regulations in this regard are sorely lacking and are not fit for purpose, despite the protestations of such bodies as the Fire Industry Association (FIA). Working with the FIA we are forming a working group of professional experts in the field of evacuation to form the Emergency Evacuation Association with a view to lobbying government to adopt better, safer evacuation regulations. To give an example of how neglected fire evacuation plans are, Grenfell – a great, towering block of flats – had just one emergency stair well. To further give a sense of how dire the situation is, an expert at Greenwich University orchestrated a mock evacuation in a high rise building (all filmed on video). The results were calamitous, with many taking the wrong course of action, putting themselves in harm’s way. This needs to be fixed. Of course, we can only play a partial role in solving this society-wide problem, but to the extent that we can, we have done our best. Our best, in this case, is the Evac+Chair: a chair that allows the smooth descent of disabled or mobility-impaired evacuees down stairs and out of the building; all, moreover, without the requirement of great physical strength. With over 35 years’ worth of experience and more than 30 partners around the globe, we have a vast panoply of experience in this domain. We know the range of demands that exist, both in terms of architecture and in terms of demographics. Our chair is manufactured in such a way to meet all of these demands. 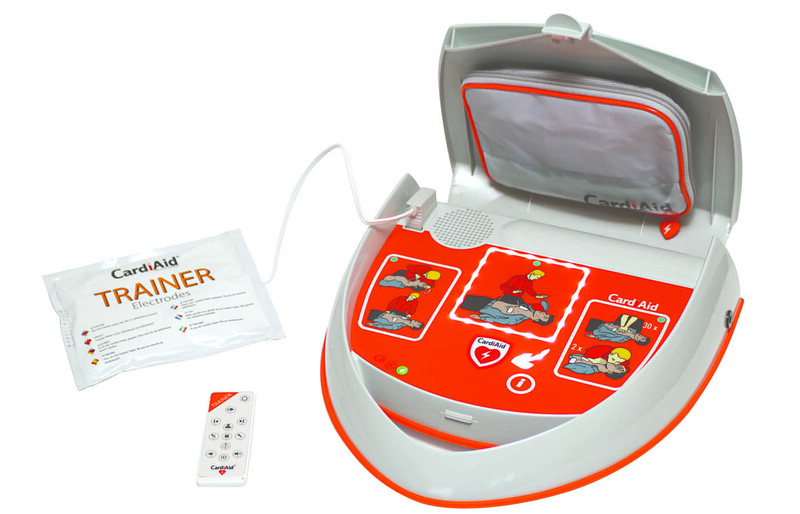 Alongside our product, we also provide comprehensive instructions and training on how to use the chair effectively and on how to achieve compliance with health and safety regulations. Included in this is advice on technical legal matters regarding evacuation, planning for evacuation, active deployment and maintenance. Knowing and navigating the regulatory environment, after all, is not always an easy task for business owners, especially those of SMEs, who – in addition to their other duties – have to procure evacuation routes themselves since changes in the law in 2005. What also increases the need for evacuation chairs is the increasing age of the workforce. An ever growing proportion of the workforce is over 65, and accommodations need to be made in light of this fact. One estimate shows that, by 2020, one third of the total UK workforce will be over 50, among whom will, undoubtedly, be many mobility-impaired. On top of this, it is already the case that nearly 7 million UK citizens of working age are disabled. These demographic factors must be taken into account. 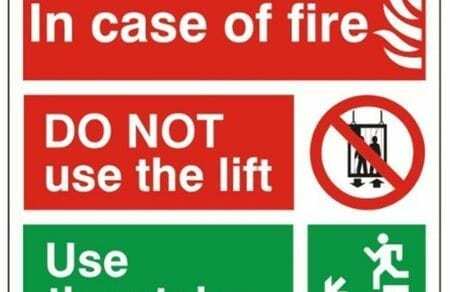 It’s not enough to focus on prevention; how to act when a fire actually happens is paramount given these alarming statistics – especially given that lifts are often out of use in these critical scenarios. Our evacuation chairs will form only one part of the story in improving fire safety across the UK. They will nevertheless, however, be an important part – and this is a message we are trying to spread as widely as we can, not least to those circles that can actually do something about it, namely the government. We’ve done our best, in addition to providing the chairs, to educate our customers on how to act in a fire or emergency situation – but more needs to be done. More, that is, by the government. Often it is alleged that private initiative and social welfare are in zero-sum contest with one another. Our company is a prime example of how this is not the case; the extent to which we succeed in our goal is exactly equivalent with that of fire safety. Our interests and that of the public align almost perfectly, which is why I’ve campaigned so ardently on this issue. Indeed, the dearth of adequate legislation on fire evacuation is testament to the fact that the public sector alone cannot deal with this; private and public initiative must work together on this issue. Their success is our success, and vice versa. Whatever the case, we will continue to provide the best possible product, advice and relationship with our clients.